We would like to invite our followers to come and visit us at our booth at the Millarville Christmas Fair, November 7-9. 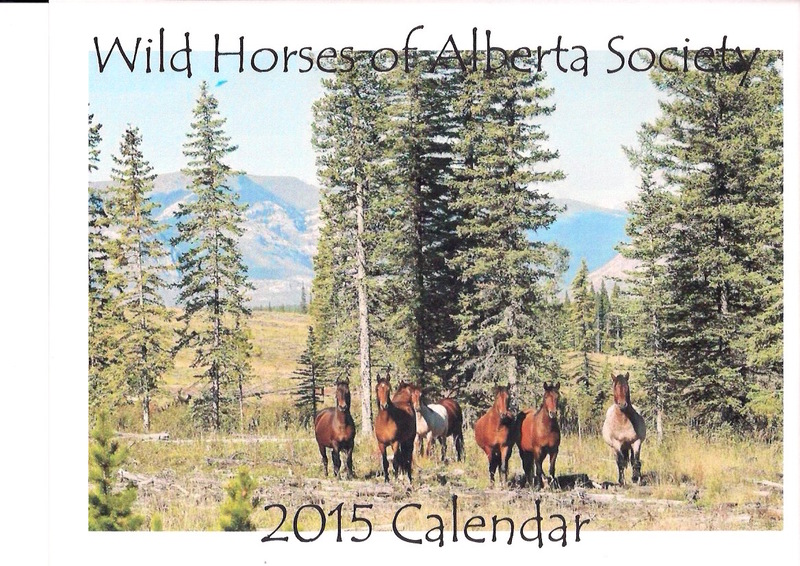 Here you can pick up a copy of this beautiful fundraising calendar and learn more about our ambitious initiatives to assure that our Alberta wild horses remain forever on the landscape of our foothills. We will also be at the Cochrane Ranch Christmas event on November 23, the Olds X-mas Fair on November 29 and the Cremona Winter Fest on December 6th. Calendars are also available for pick up at the Smokes and Toast Restaurant in Bowden, the Red Barn and Gifts in Water Valley, the Sundre Museum and at the UFA in Olds. We are also now able to take payment by use of PayPal. Thank you to all who support us through the purchase of these beautiful calendars.